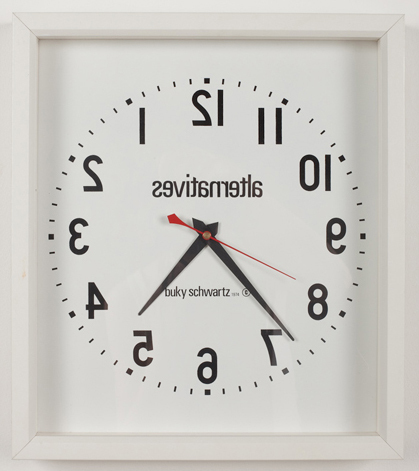 Description: Alternatives is a functional clock in which the digits are inverted and the hands movement goes the wrong direction. Only 12 copies were produced as early as 1974, with the artist signature in the back. The piece is inline with Buky’s ongoing quest to explore alternative points of view that result in a new imagined realities. 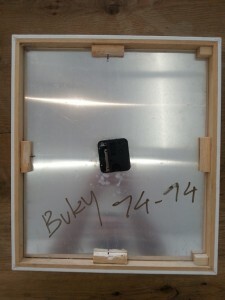 It’s a whimsical piece that will attract existing and new audiences to Buky’s celebrated visual art legacy.